Set to be released on June 26 in North America and the 29th in Europe, Darksiders II takes the reigns away from the horseman War and places them into the hands of a new character-Death. 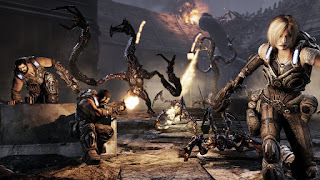 Gamers who are looking forward to this game will have several options to choose from. The Limited and Collector's Edition of the game have been announced by THQ with each offering both in-game and actual items. The Limited Edition which you receive with any pre-order of the game (at no additional cost) comes with an access code to download the Argul's Tomb DLC when its released. 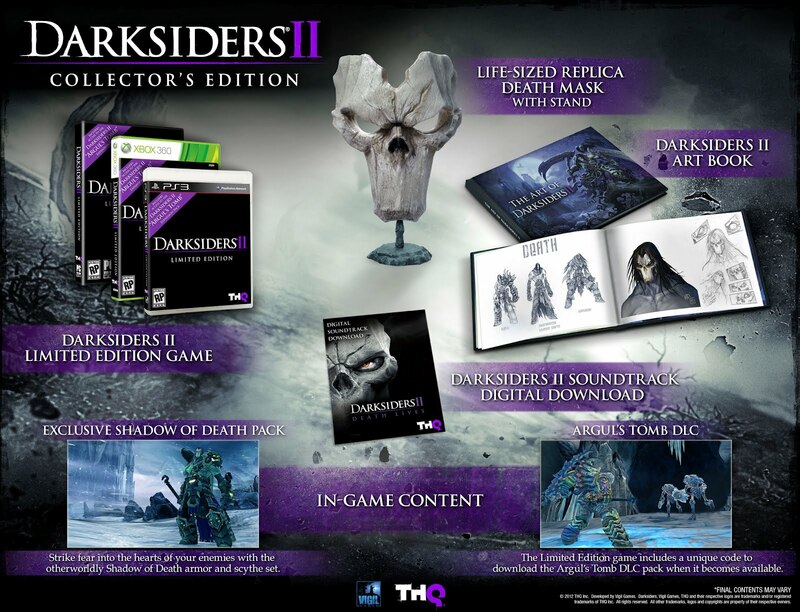 For the Collector's Edition gamers will receive a life-sized replica Death mask, an in-game Shadow of Death armor set (with Scythe), a digital copy of the games soundtrack and a Darksiders II art book. The Collector's Edition will run you $99. Death and his pale horse cannot ride soon enough. What do you think? Is the Collector's Edition a buy or pass?